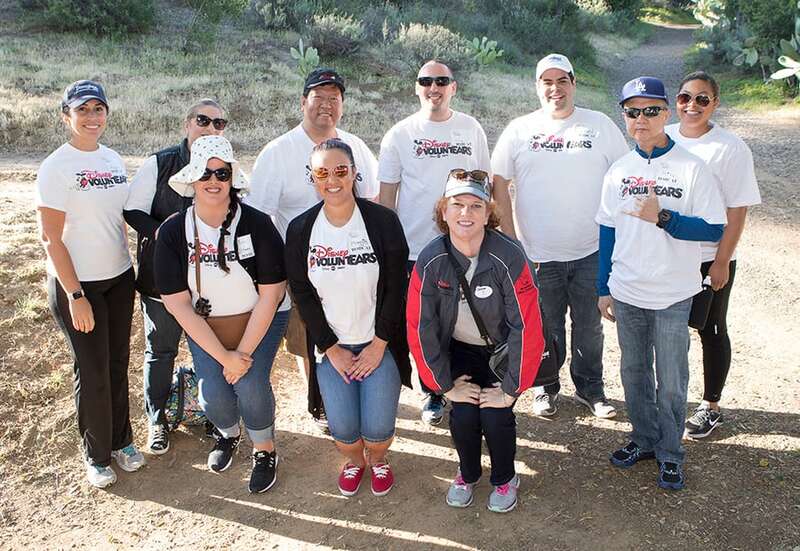 April is National Volunteer Month—the time of year when the Disneyland Resort honors cast members who give back throughout the year as part of the Disney VoluntEARS program. These cast members, nominated by their peers, were named Disney VoluntEARS of the Year at a ceremony April 8 at the Disneyland Hotel, where they were honored with medals and awarded $2,500 for a nonprofit organization of their choice. 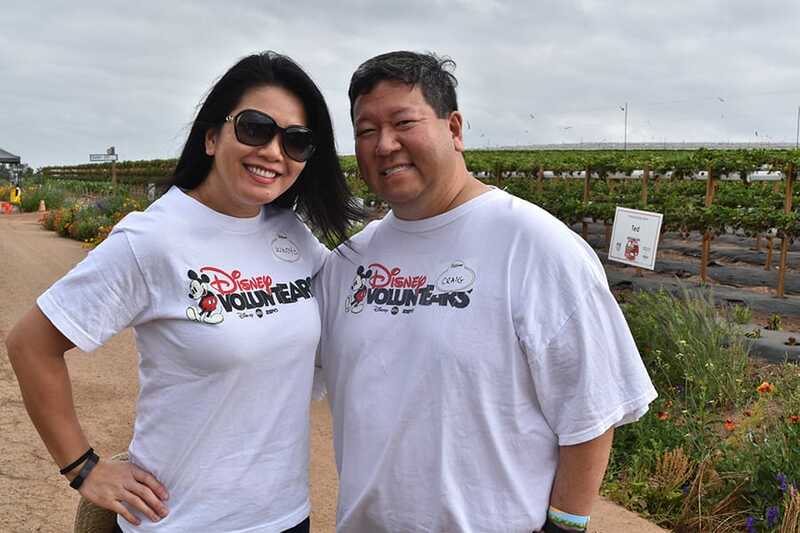 Chances are, cast members who volunteer regularly know Craig Kawamoto. While shifts at the Orange County Food Bank are his favorite, he also supports the resort’s military care package drives, Walk the Farm charity walk at Tanaka Farms in Irvine and much more. 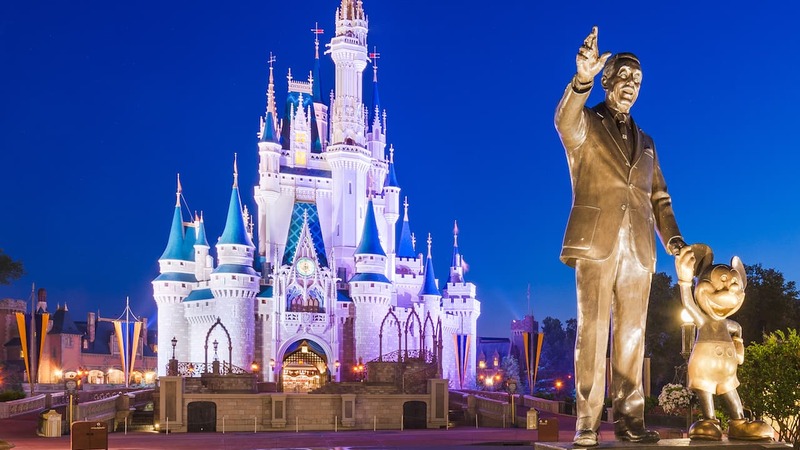 In his role at the Walt Disney Travel Company, he champions volunteerism by leading team building events and motivating his colleagues to get involved. 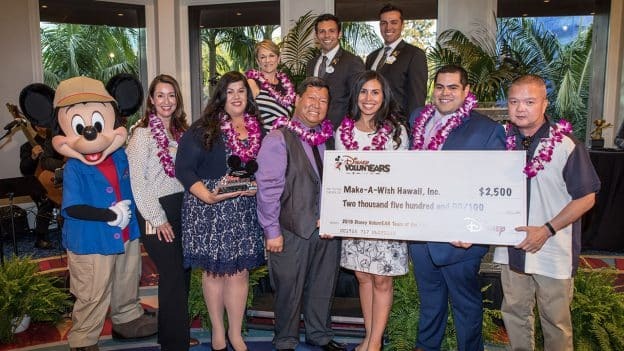 Donation to benefit Make-A-Wish Hawaii, Inc.
With a 20-member team (including Craig Kawamoto), the Aulani, a Disney Resort & Spa, Reservation Sales team at the Walt Disney Travel Company volunteered a total of nearly 1,400 hours in 2018! Frequent volunteers on the team include Michael Rojas, Mike Ramos, Alyssa Ojeda, Valerie Stammen, Ivy Goodman and Craig. When Mila, the daughter of cast members Melinda and Cory Lawless, turned 5 years old, volunteering became a family affair. The three, joined by Melinda’s sister, Melissa Vince (also a cast member), volunteer as a family throughout the year. The family can be found volunteering at events like Relay for Life, CHOC Walk in the Park, Toys for Tots drives and the Orange County Food Bank.